History: The Eraser Company, Inc. was founded in 1911 and incorporated in 1935. 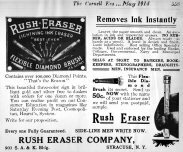 At that time the only product manufactured was the Rush FybRglass® Eraser, used for typing and drafting corrections. In the 1940’s they found this tool could be used to strip film insulation from magnet wires, and thus a product line was born. 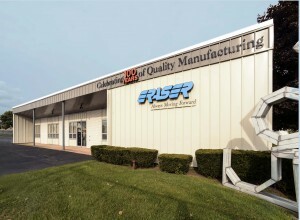 Over the past 20 years they have continually expanded and refined their product line to include all types of wire processing equipment including wire, cable and tubing cutters, wire and cable strippers, wire twisters, wire brush wheels, reelers and dereelers, infrared heating equipment, measuring tools and FybRglass® erasers. In February 1996, The Eraser Company, Inc. became ISO registered, a step which underscores their commitment to providing you with reliable, high quality products. They continue to add many new features and improvements to their existing equipment. Service: The Eraser Company, Inc. offers E.C.P. (Eraser Certification Program). Send a ten to fifteen foot sample of your material and Eraser will recommend the best solution for your processing needs from its line of more than 200 products. Using state-of-the-art design software and a highly skilled team of engineers, Eraser can also produce custom-made equipment to suit your particular application. The breadth of their line is unequaled anywhere!